Discussion in 'Femmes' started by Sailor, Dec 18, 2009. I searched for a thread for her but couldn't find any. 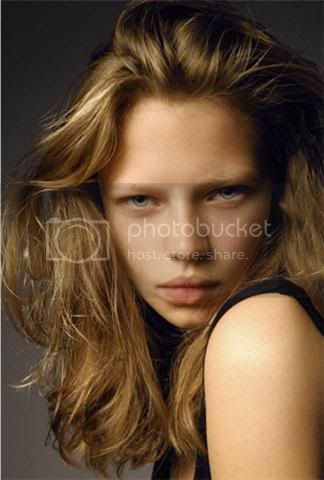 There are quite a lot of amazing tests in her portfolio @ Next Paris. Just discovered her there actually and immediately was taken by her raw yet (kind of) girly look. She's in the Tom Ford lensed "Candy Vaggio" in CRFashionBook #3. Looks like she may have filled out and moved to +division?